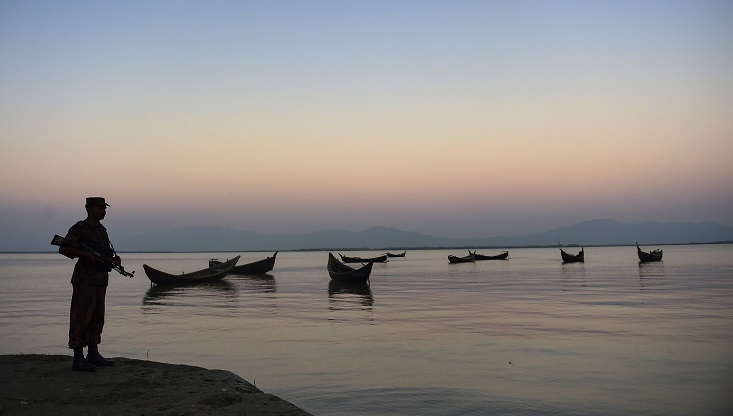 Mayanmar Border Guard Police (BGB) has picked up 4 Bngladeshi fisherman with a fishing boat from Shah Parir Island of Naf river at Sabrong union in Teknaf of Cox’s Bazar on Tuesday. The fishermen were identified as Azim Ullah Maji, Mohammad Abdullah, Abul Kalam and Mohammad Hasan, of Teknaf Sahporir Dip Bazar area. Local people said, the 4 fishermen took the trawler owned by Aman Ullah to the Naf river to catch fish. After a while, a BGP team of Myanmar riding on a speedboat took away the fishermen at gunpoint, they added. Sabrong union parishad member Md Fazlul Haque said they have already informed of the incident to the authorities.